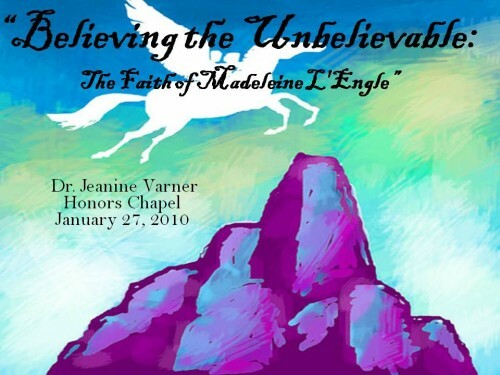 of the Spring 2010 semester! 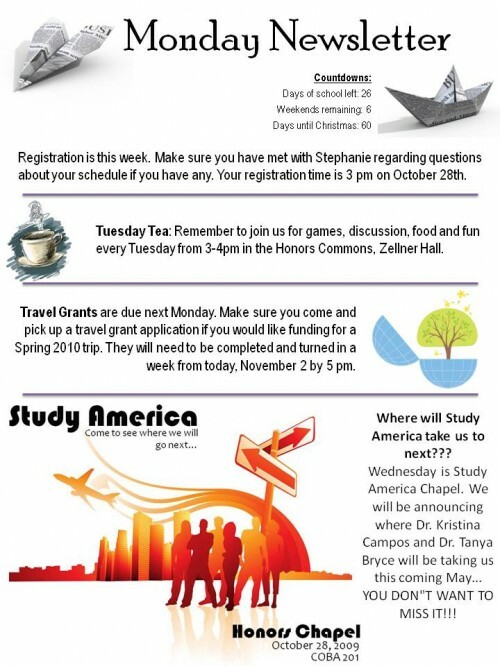 Join us on Oct 21st, as honors students share their experiences (and pictures) from studying abroad! 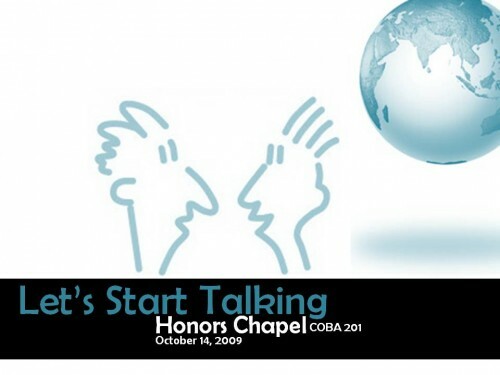 Join us for a special presentation from the Let’s Start Talking summer missions program! 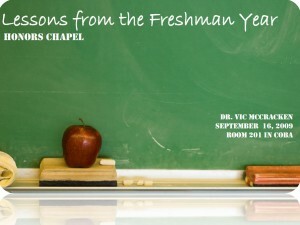 Please join us for Honors Chapel this Wednesday, September 16th in COBA room 201 for “Lessons From Freshman Year.” We will be led in a time of worship followed by a lesson from Dr. Vic McCracken. See you there!